People who are encroaching on Thailand’s beaches, forests, and waterways beware. The Ministry of Natural Resources and Environment (MNRE) and its responsible agencies is coming for you. That was one of the takeaways delivered by Thailand government spokesperson Lieutenant General Sansern Kaewkamnerd at a ‘meet the press’ function in Bangkok on Monday. Over the past several months the Ministry, through its various agencies, has racked-up victory after victory with favourable court verdicts and orders to clear properties encroaching on Thailand’s forests and beaches. At the same time other government agencies have moved in to shut down illegally owned or operating guest houses and restaurants in popular tourist destinations. Speaking after the event Lieutenant General Kaewkamnerd told AEC News Today that Prime Minister General Prayut Chan-o-cha had a zero tolerance policy on people who are encroaching on public land. “The Prime Minister has made it very clear. Get Thailand’s forests and beaches back for the Thai people”, he said. Acknowledging that the amount of land taken by individuals for their personal use and/ or profit was quite large, Lieutenant General Kaewkamnerd said that the government has empowered those working on the front line — forest rangers, park managers, environment officers, and such – so that people are no longer afraid to speak up. “Previous administrations didn’t empower those who are responsible for protecting our public places. For the past three years and eight months this has been a priority driven from the Prime Minister down. 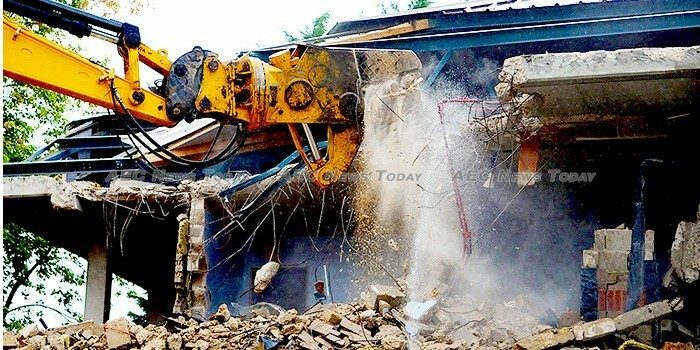 People who encroach on public land will lose their assets, and get prosecuted”, he added. Just last week a mixed force of forestry officers from Hat Noppharat Thara–Mu Ko Phi Phi National Park, police, and soldiers from the Royal Thai Army (RTA) demolished houses and shops encroaching on the beach; the culmination of legal action which started in 2014. A similar long-running prosecution saw the Thailand Supreme Court sitting in Phuket last month order JBB Co., Ltd, the owners of a multi-million dollar resort managed by Minor International and branded as the Anantara Resort Si Kao be removed after finding it encroaches on Hat Chao Mai National Park. The legal action, brought by the Department of National Parks, Wildlife and Plants Conservation (DNPWPC) commenced in 2013. 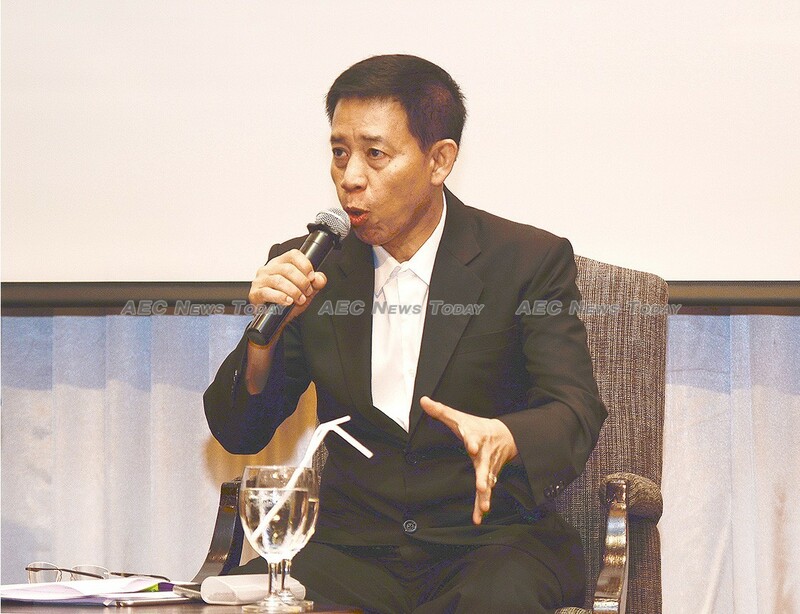 Over the past two weeks Thai media has been abuzz with conjecture, speculation, and theories on the future of Thai construction tycoon Premchai Karnasuta, president of Italian-Thai Development Plc (ITD). Mr Karnasuta was allegedly found in an illegal hunting camp in the Thungyai Naresuan Wildlife Sanctuary in Kanchanaburi Province with fire arms and the carcasses of a black Indochinese leopard, a Kalij pheasant, and a barking deer –– all critically endangered species –– and seven other dead animals. The arrest of such a powerful and rich tycoon prior to the May 2014 ‘military intervention’, would have been unthinkable. The poaching allegations against Mr Karnasuta are not an isolated incident. Last weekend police and park rangers intercepted a vehicle leaving Khao Yai National Park in Pak Chong, northeast Thailand where an inspection found a hidden compartment containing bags of roughly butchered protected boar, buffalo, and bear meat. Another Thai tycoon also now in the government’s spotlight is Panya Chotitawan, owner of Saha Farms Co., Ltd., which claims to be Thailand’s largest frozen chicken exporter. Last month a complaint by residents led to his flamboyant Buddhism-themed tourist attraction in Pattaya, Sukhawadee House, being found to be encroaching on land illegally reclaimed from the sea, amongst other offences. Investigations are continuing. Meanwhile, on the Thailand holiday resort island of Koh Phangan, Immigration Bureau officers, Tourist Police and regular Thai police, backed by the RTA, have been sweeping the island inspecting permits and licences of premises, in the process shutting down those owned and operated illegally by foreigners. In rural Thailand similar visits are being made on the homes where foreigners are reported to be living, as the country attempts to rid itself of those staying illegally. According to Lieutenant General Kaewkamnerd it is a process that is going to continue. The ability for the government to use the RTA to support local officials against opposition, he said, equips the Chan-o-cha administration with both the will and the muscle to get the job done. Something that previous elected administrations had failed to do, and often turned a blind eye to, he said.